The concept of a public trial is ancient, but it did not begin as a right belonging to a defendant in a criminal case. While there are seeds of an accused’s right to a speedy trial in the Assize of Clarendon of 1166 and the Magna Carta of 1215 neither mention a public trial. Prior to the 1791 ratification of the American Bill of Rights, the only historical provisions for a public trial were the 1776 constitutions of Pennsylvania and North Carolina. 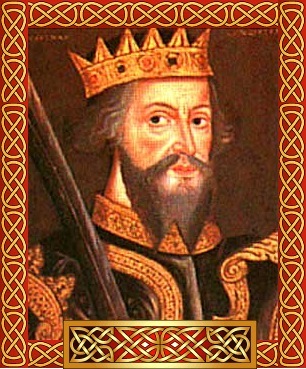 The tale of the public trial begins with William the Conqueror’s conquest of England in 1066, but its origins were unrelated to protecting a criminal defendant. To secure the loyalty of his new subjects William allowed their participation in dispensing justice. Early English justice was commonly carried out by the tribe or the community. A wrong against a community member was considered a wrong against the entire community. The individual was tried and judged by communal law and custom. While the 1166 Assize of Clarendon did not mention an accused’s right to a public trial, it did impose a duty on freemen to present criminal charges and attend trials. This duty could be fulfilled by sending a servant or representative. In those days, trials were typically held outdoors and as a result were “public”. The beginnings of a public trial were thus related to bringing the public together to judge an accused, not to protect his rights. The development was more practical than philosophical. Over the next 600 years the practice evolved and became an accepted part of the “common law”. 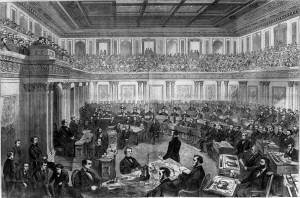 By 1789 when James Madison included the “public trial” provision when he proposed constitutional amendments during the First Congress, there was no debate on the subject. Wording the provision “the accused shall enjoy the right to a… public trial” made the right personal to a criminal defendant. This differed substantially from its origins. The fact that a public trial is defined as a defendant’s personal right allows the defendant to “waive” or give up that right. However, the defendant’s waiver may be limited by First Amendment freedom of the press considerations. The public trial provision recognizes the importance of justice to the defendant, and that justice is best served openly and transparently. When the government seeks to deprive someone of their life liberty or property the validity of the government’s action is best viewed in the open. The purposes of a public trial are many: a fair and accurate determination of the defendant’s guilt or innocence, a public display of impartiality, the discouragement of perjury or decisions based on secret prejudices. The combination of these considerations are to meet the goal of protecting the defendant’s natural right to liberty. (1) the party who wishes to close the proceedings must show an overriding interest which is likely to be prejudiced by a public trial; (2) the closure must be narrowly tailored to protect that interest; (3) alternatives to closure must be considered by the trial court; and (4) the court must make findings sufficient to support the closure. Public trials did not begin to protect the accused. They were useful to the king in providing his subjects with the sense that they were dispensing justice. The evolution was long and slow into a protection for citizens from the exercise of government power. The first written commitment to public trials for any nation in history was the United States’ Sixth Amendment. This commitment is properly classed as an element of American Exceptionalism. A detailed discussion of this tradition is found at Legal History: Origins of the Public Trial. Apparently even 850 years ago there were efforts to avoid “jury duty”. English “common law” is the accumulation of traditions and judges’ decisions. Laws passed by Parliament are statutory. The evolution was demonstrated in 1649 when John Lilburne was tried for treason and successfully demanded that his trial be held in public. With the witness testifying in public, the belief is there is less inclination to lie, since there is the potential that someone in the audience will have knowledge of the subject matter. Waller v. Georgia, 467 U.S. 39 (1984) expresses general rules for acceptable closings of trials. In this case the defendant objected to the closing, and the Supreme Court sustained the objection. Parts of trials have been closed for various reasons e.g. : testimony of a juvenile or sexual assualt victim, national security interests, trial disruption. Each case is judged individually with the “public trial” goal being paramount.